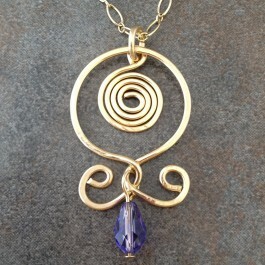 A Hand formed and hammered swirl is hanging inside a hoop with a purple Swarovski crystal dangling at the bottom. 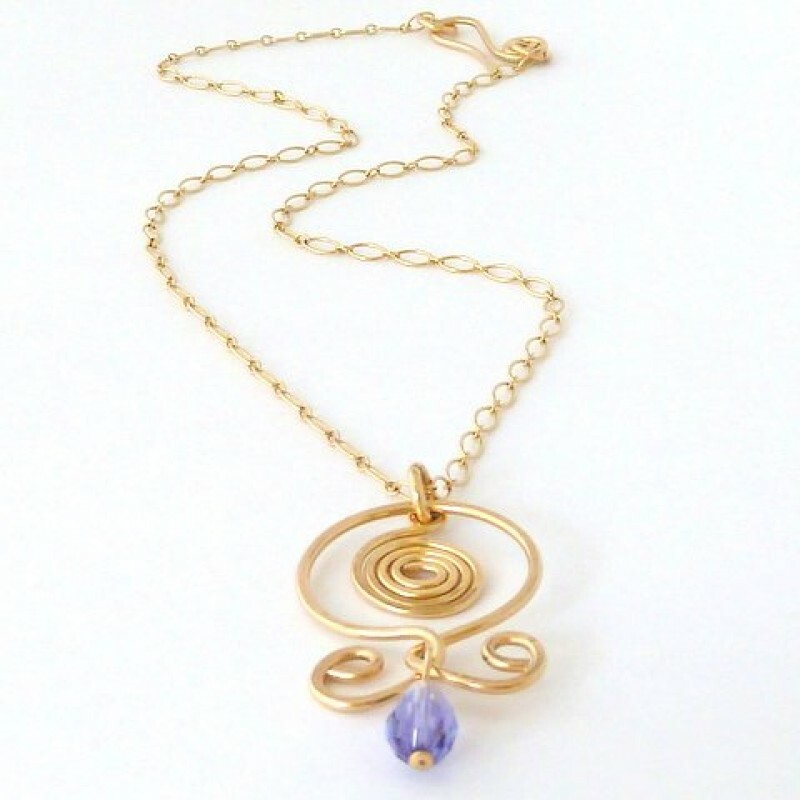 Swaying on a gold filled chain, the pendant is delicate and royal. Hand made clasp. 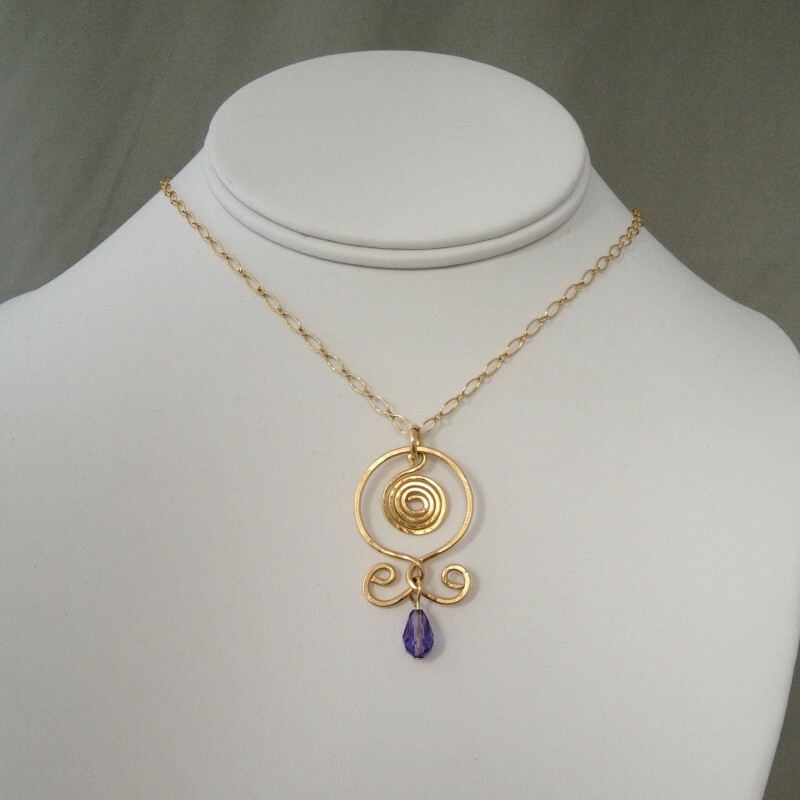 Pendant is 1 3/4" from top to bottom and 7/8" wide. 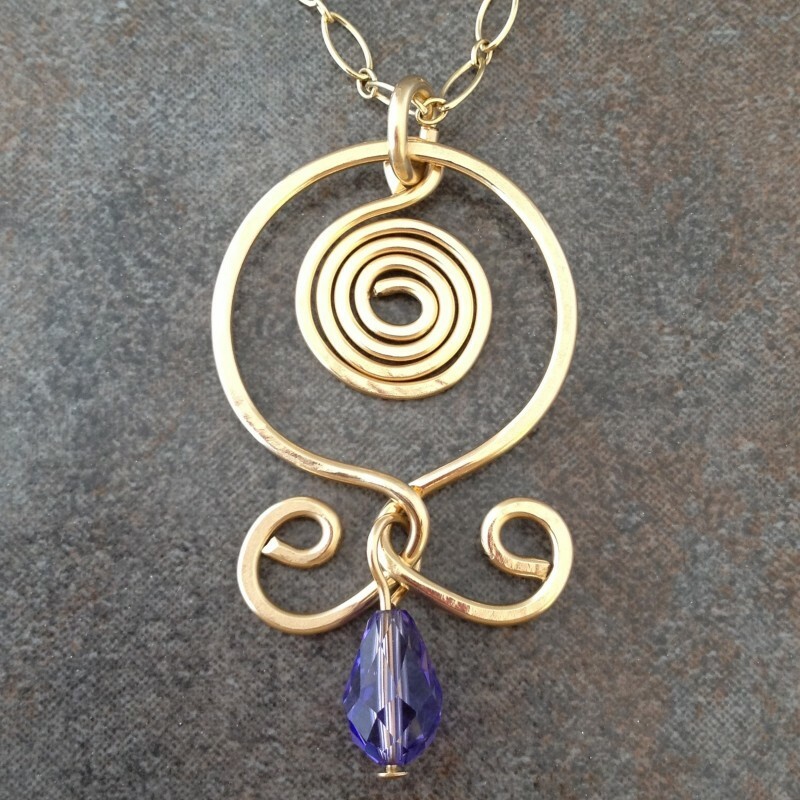 Necklace is 16"-18" long.